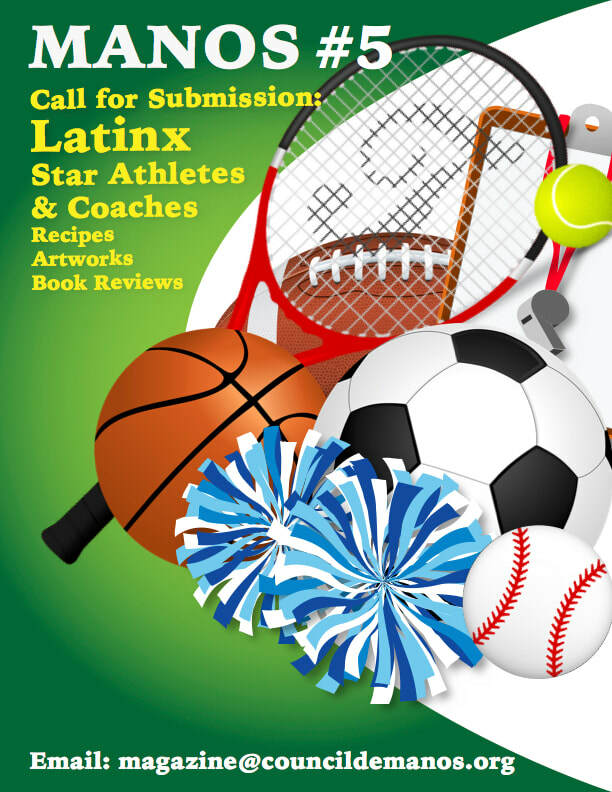 [Image Description: MANOS #5 Sports Issue Submission (flyer). Carlos is a Nuyorican (New Yorker of Puerto Rican descendant), with caramel skin tone. He is wearing black shirt with white print of English words. Carlos is riding on a moving train. 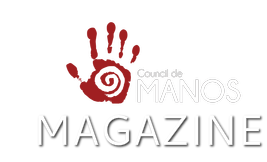 Council de Manos’ online magazine, Manos, committee are currently working on their fourth issue. The theme of the issue is Food Recipes. The issue is almost ready to be released. Meanwhile, we are already working on the fifth issue. The theme of this issue is Sports. Athletes and/or coaches, you have stories and pictures of yourself in your uniform participating in games or tournaments winning trophies as well as your game stats. Please send them to us. To participate, you must be a member of the Latinx Deaf, DeafBlind, DeafDisabled, Hard of Hearing and Late Deafened community. We welcome students in K-12 setting, college and universities, and community based folks. Please share your stories with us. The committee look forward to collecting because sharing our community members stories is so important. © 2017 Council de Manos, Inc.